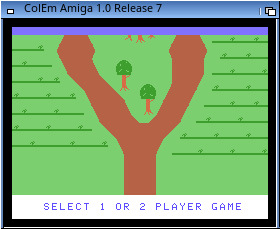 Description: A MorphOS native port of Marat Fayzullin's ColEm Colecovision emulator. 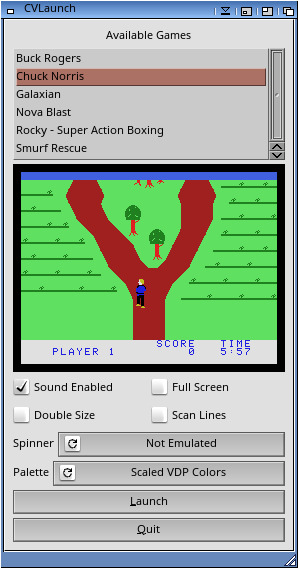 This is a MorphOS native port of Marat Fayzullin's ColEm Colecovision emulator. 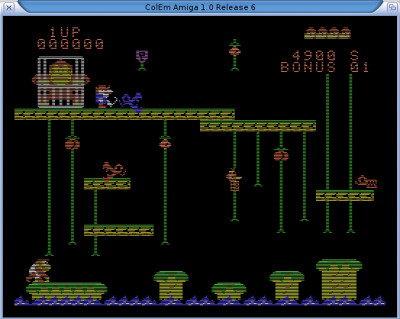 This version is based on the classic Amiga port by Paul Hill. 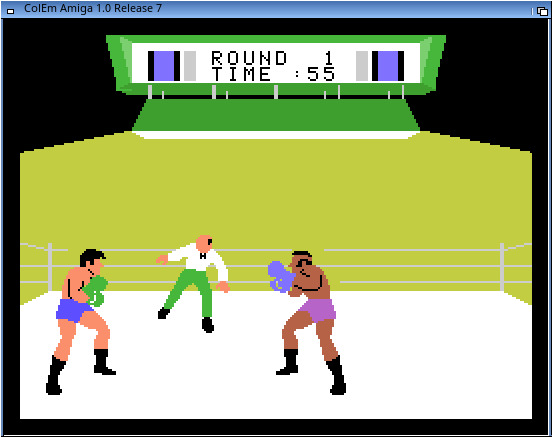 This archive contains no game roms and please don't ask me where to get them from. I have original carts for all games shown in demo screen shots. - Do not turn on spinner emulation unless a game needs it. Some games will crash. - Merged MorphOS and OS4 sources. CVLaunch is now MUI on both platforms. This release is a bit of an odd one. Marat has been very active lately updating Colem and is now up to version 2.X on multiple platforms. His latest version really has a lot of cool features and compatability improvements. My problem is I'm not ready to take the leap into things like network code so I've backported some of his improvements into my 1.0 source. At the same time I've implemented some features of my own. A 2.X port may follow at some point but for now I'm sticking with my existing source. - Much improved sound. Still not perfect but more accurate.